Join our morning tour of the St Peter’s Basilica and visit the Dome, the St Peter’s Basilica and the Popes’ tombs. During this tour you will discover the history of the Basilica and the extraordinary technique used to build it. You will learn in depth the history and the behind-the-scene facts about this extraordinary building. We will climb the Dome with the elevator to the highest point reachable. 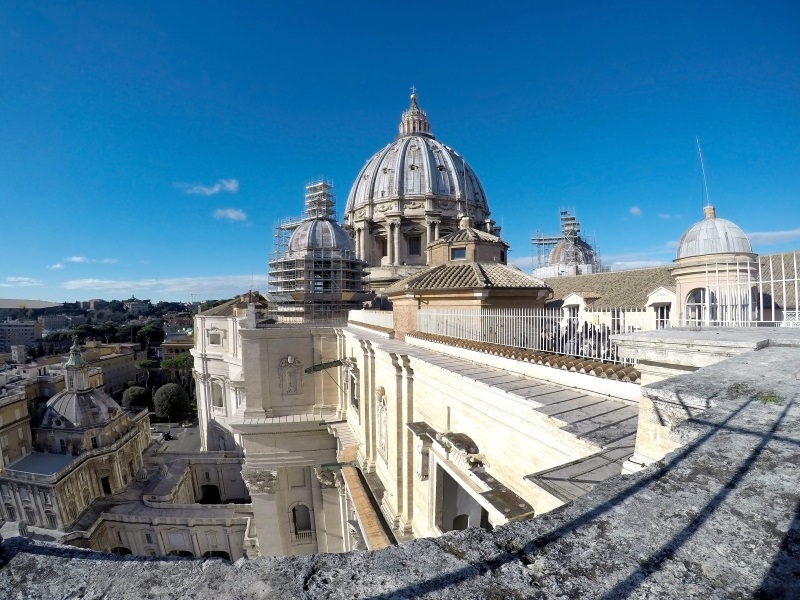 Afterwards, you can climb the stairs (not compulsory) that will bring you to the very top of the Dome from where you will be stunned by the marvelous view of the whole Vatican state and you will be able to admire the whole City of Rome. After this mesmerizing experience, your guide will lead you through the Basilica and will give you all the important notions of the biggest church in the world. You will also have the chance to visit the underground section with Popes’ Tombs. With this 2.5 hours tour, you will learn in depth the most important historical, artistic and behind-the-scenes facts of the St Peter’s Basilica. Meet us in Piazza della Città Leonina 7, Rome.